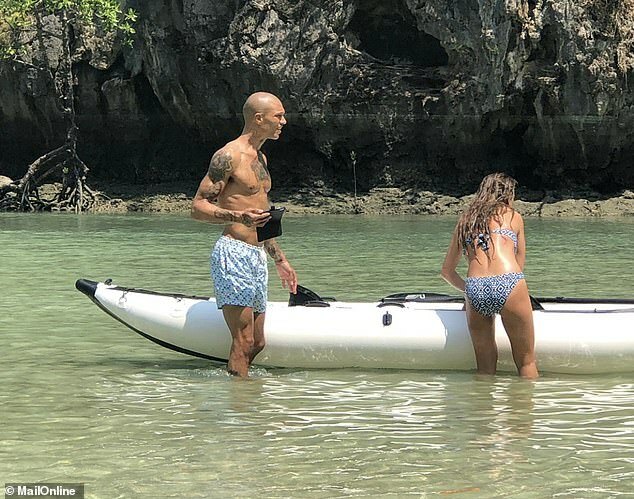 Chloe Green has silenced split claims with her fiancé Jeremy Meeks after they were spotted enjoying a romantic canoeing trip in Thailand on Sunday. 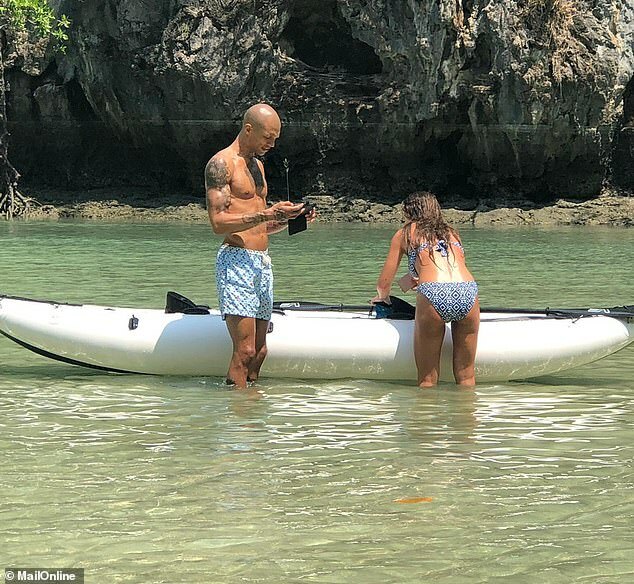 The daughter of disgraced Topshop boss Sir Phillip, who shares 10-month-old son Jayden with the convicted felon, looked happy and chilled-out as they soaked up the sun and silenced recent claims that they had split. 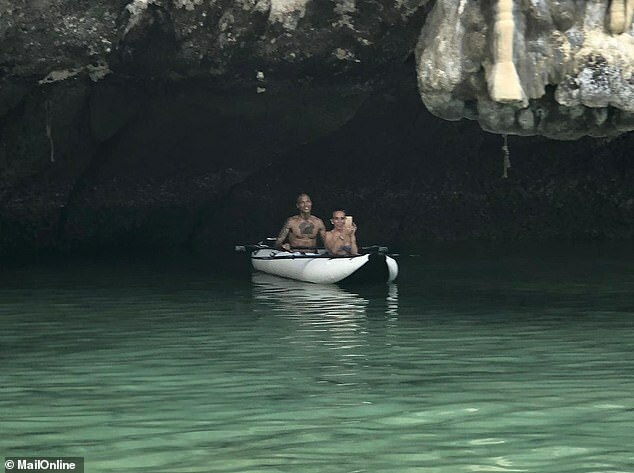 Earlier this month, sources close to the couple claimed their 18-month relationship was under strain after they had a public spat on February 19 in Dubai however their romance seems to be stronger than ever in light of their cosy snaps. We were only with them a short time as they were paddling alone together in the lagoon, but they seemed very happy, they were hugging and taking pictures. Chloe looked sensational during the outing with her beau as she wowed in a tiny patterned bikini while he looked handsome in pastel-hued shorts. 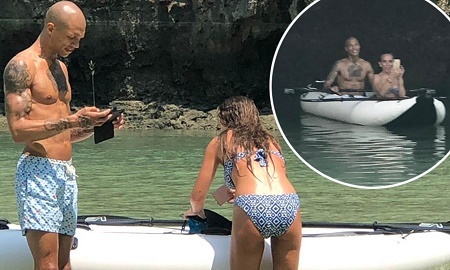 The clearly loved-up duo were laughing and giggling during the canoe trip shortly before they enjoyed a jaunt on her father's yacht.